Bred in the temperate southern regions of Australia, in particular the Victorian Highlands, young calves are nurtured on their mothers in pristine grazing areas. From 12 months of age they are moved into dedicated backgrounding facilities and finally finished on grain for a minimum of 500 days. 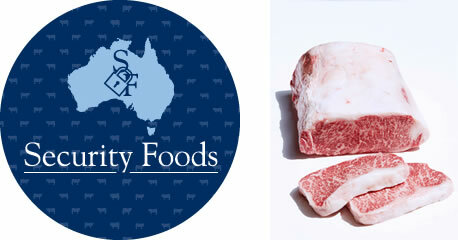 Only the best carcasses which have been independently graded by Aus-Meat accredited chiller assessors are selected. 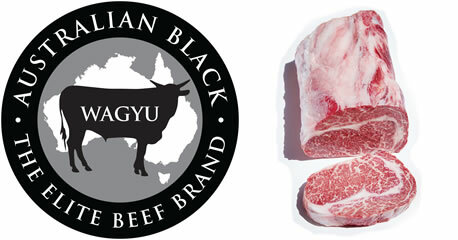 Selection criteria is based on meat colour, eye muscle area and marbling (minimum Aus-meat MB7). 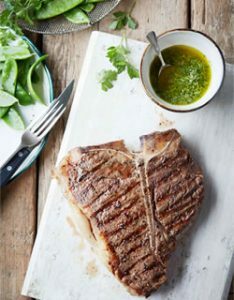 Security Foods uses Karoge Washu bred Wagyu and Tajima Bloodlines, selected on the basis of extensive progeny testing (over forty years), to breed large numbers of feeder cattle which are fed in company-controlled feedlots. 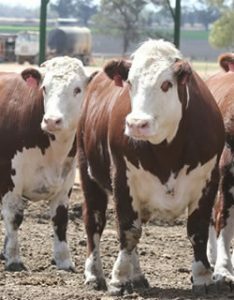 Through ongoing training programs, The Company is educating Australian farmers to correctly feed and manage these cattle from birth to slaughter. 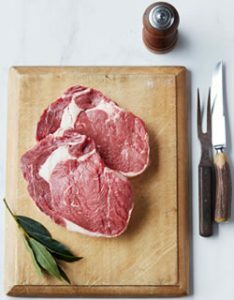 Accordingly, our Company prides itself in being able to produce beef that is not only juicy and tender but most importantly tasty. All cattle are bred in the temperate southern regions of Australia including the Northern Tablelands and Riverina of NSW and the King and Kiewa Valleys of Victoria. All cattle are produced under our JAS standards and we are able to maintain 100% traceability on all carcasses. In accordance with our company’s long tradition of supporting our most important asset, our farmers, we are proud to present this brand as part of the Security Foods Quality Assured Farmer Fed ™ range. 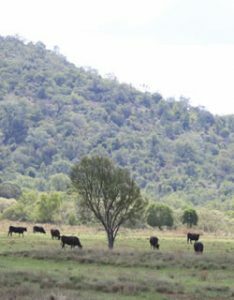 Our cattle are sourced from some of the best temperate climate zones for cattle production in Australia, including the Northern Tablelands and Central Slopes and Plains of NSW. The cattle graze free range on perennial pastures such as clover and rye grass and are finished for 120-150 days on a special ration designed for optimal marbling, meat and fat colour. 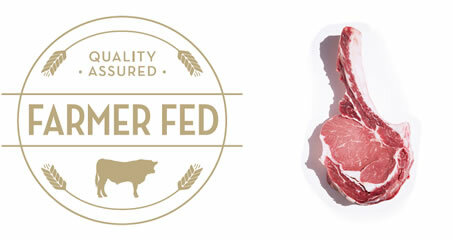 The end result is a tender premium product, characterised by a juicy, natural beef flavour desired by our consumers. We offer 120 day grain fed British Breeds such as Hereford and Angus Cross, and 150 day Grain Fed Angus.